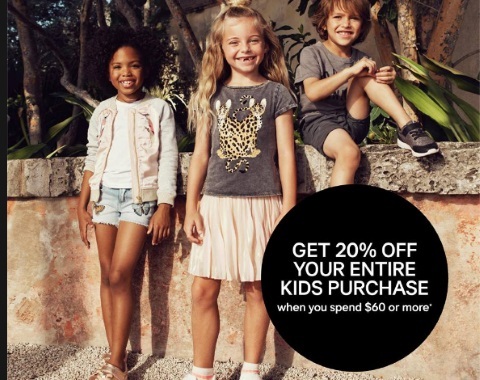 H&M has a new coupon for 20% off your entire kids purchase! Offer is valid when you spend $60 or more. Offer valid in-store April 6-23, 2017. One coupon per customer. Coupon is valid on all kids regular priced items. Coupon must be shown on mobile device.